The film aims to combine the art of nature documentary with a campaigning quest that has been followed up by Hong Kong-based Australian film director Craig Leeson over the past year regarding the menace of plastic from Sardinia to Canada to the Indian Ocean. Provisionally entitled ‘Away’, the film is backed by David Attenborough and the UK-based Plastic Oceans Foundation, it brings together new research on the spread of plastic with missions by ‘explorers’ such as Ben Fogle to show the diverse effects of plastic trash. Its message is that while you may throw out your plastic goods, they are never really thrown ‘away’. On Midway atoll in the North Pacific, dozens of young albatross lie dead on the sand, their stomachs filled with cigarette lighters, toy soldiers and other small plastic objects their parents have mistaken for food. 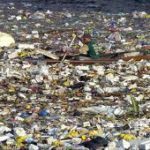 That sad and surreal sight, says Leeson, is one of the many symptoms of a plague afflicting the world’s oceans, food chains and human communities, the onslaught of discarded plastic. Leeson’s crews have so far swum with blue whales, taken a deep-sea submarine to the depths of the Mediterranean and found swirling clumps of plastic trash in the Indian Ocean. They have used a harpoon-like instrument to take biopsies from whales and dissected a dead Corsican turtle in a Siena laboratory. Sea lions are yet to be included. 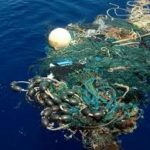 The foundation cites research showing that at least 250 species have ingested or become entangled in plastic in the seas. They put forward plastic ingestion as one of the main causes of ‘skinny whale syndrome’, in which whales are discovered mysteriously starved. 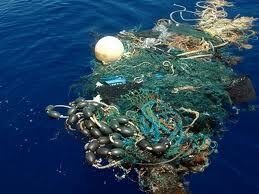 The 250 million tons of plastic we discard each year make their way for thousands of miles around the oceans. But beyond this, their goal is to show that the environmental damage is systemic, going far beyond a series of water-borne trash heaps. 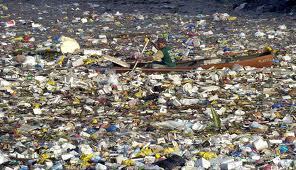 According to Leeson, the mass of plastic the size of Texas often said to exist in the North Pacific is a myth. Instead, microplastics lurk there invisibly, in seemingly clear water. Studies have linked this with health conditions in humans including cancer, diabetes and immune disruption. This is not the first high-profile campaign on the subject, Greenpeace, currently researching plastic pollution in the Arctic Ocean, has warned that urgent action is needed to address the sources of plastic waste, and campaign group World Wildlife Fund (WWF) calls the problem ‘staggering’. But Leeson hopes the images in his film will jolt viewers out of their complacency about rubbish that apparently disappears into the waste collection system. Leeson will not divulge all the findings from new research carried out for the film, but it is clear the message will be an alarming one.